Social Media and the Law 2019 | Ossian Law P.C. 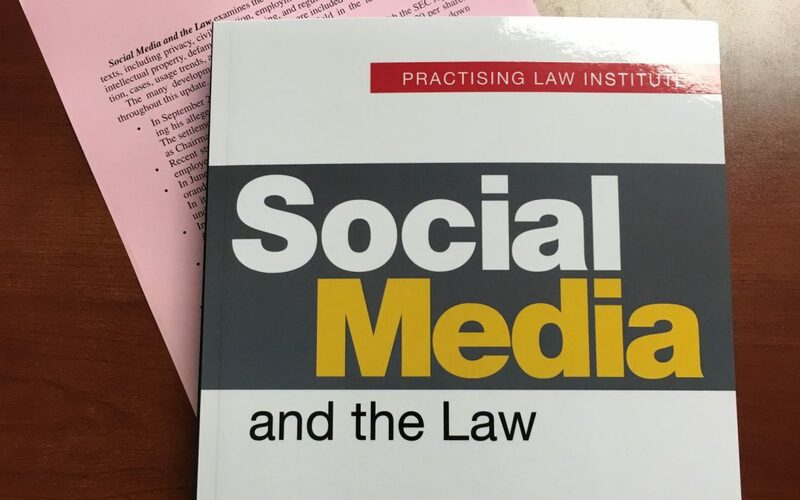 The 2019 updated edition of Social Media and the Law by Kathy Ossian and published by the Practising Law Institute is now available! This publication examines the use of social media in a variety of legal contexts like privacy, civil litigation, employment, criminal law, trademarks, copyrights, defamation, advertising and regulated industries. Relevant legislation, cases, usage trends and industry responses are included as well. Get your copy here!